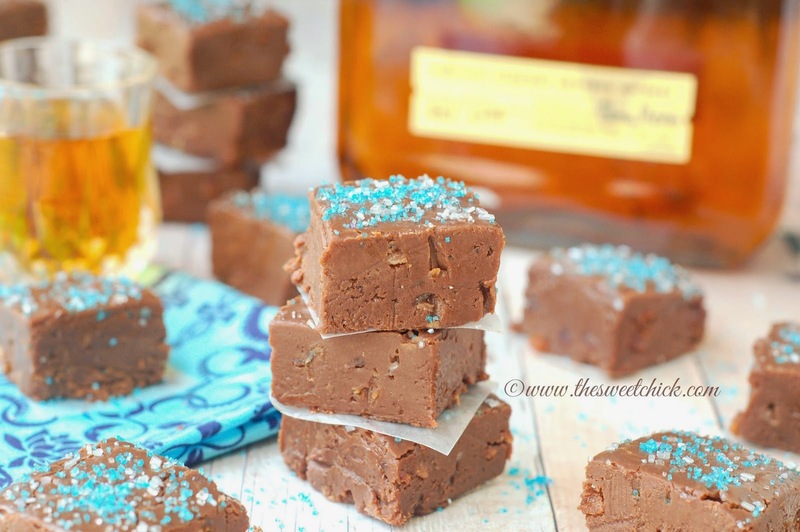 This fudge is so easy to put together. 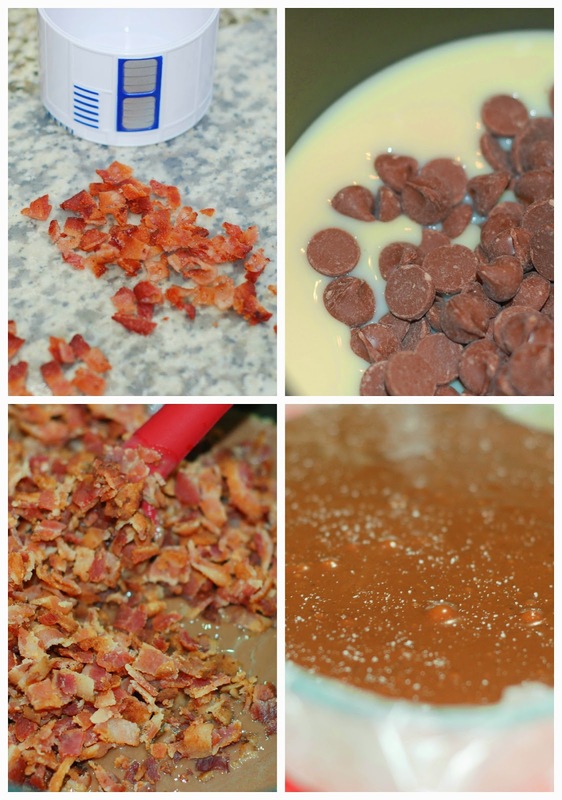 You just melt the chocolate and the condensed milk together, then add the bourbon and bacon. Sprinkle it with a little sea salt, then throw it in the fridge for about four hours and chop it up. Voila, done! The flavors came together beautifully. The smooth taste of woodsy bourbon, the sweetness of the chocolate, and the saltiness of the bacon are a match made in heaven. 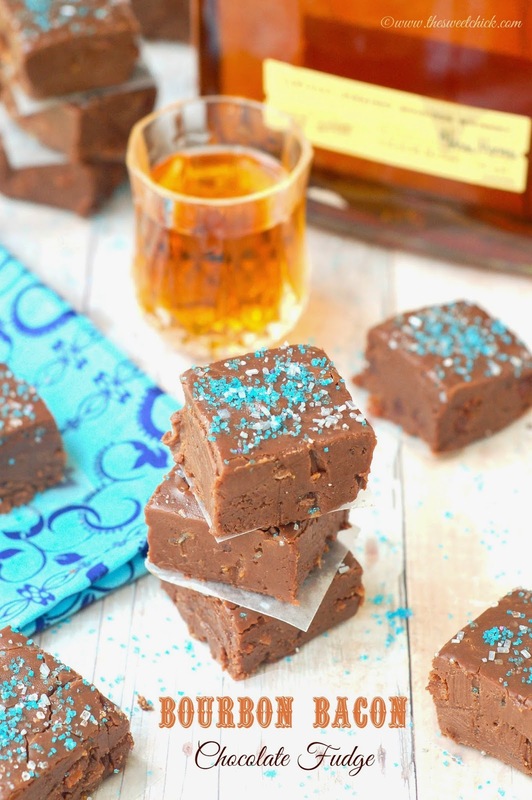 This Bourbon Bacon Chocolate Fudge would make a great Father's Day gift for the father(s) in your life. And if you have a geeky father in your life, these cool gadgets from ThinkGeek would also make great gifts. 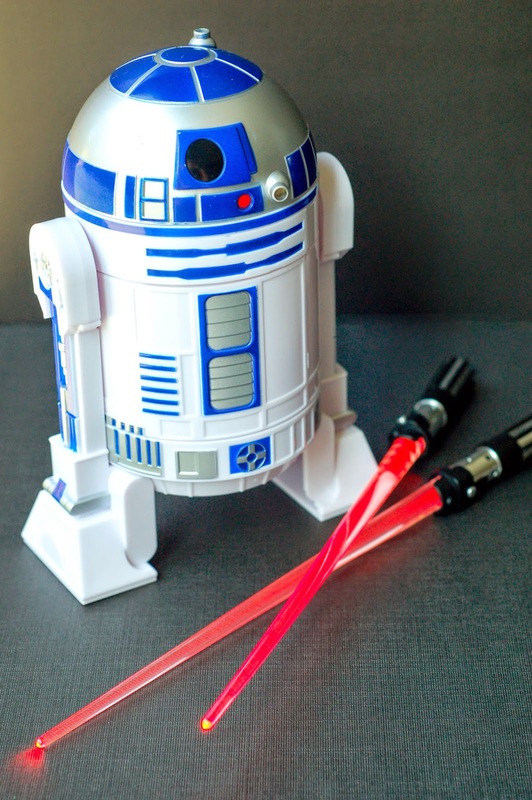 ThinkGeek sent me this R2-D2 measuring cup set and light up Light Saber Chopsticks to review. 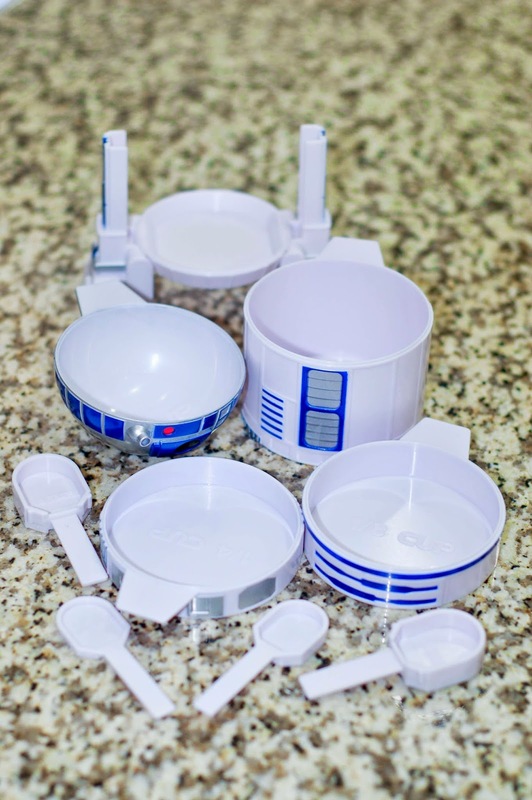 R2-D2 comes apart into different sized measuring cups and spoons. 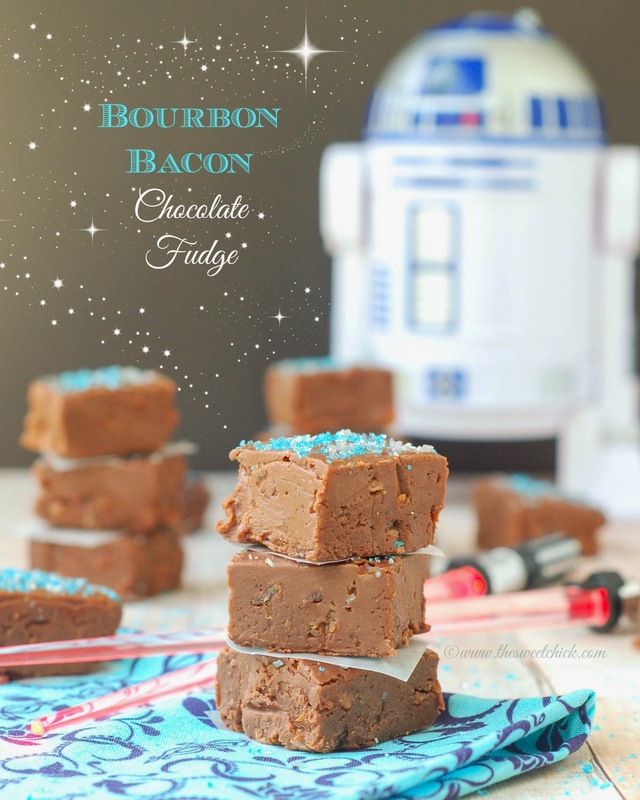 I used them to make this fudge. They come apart easily and I was able to put them back together no problem. With these you won't have to go looking for your measuring utensils, they are all together in one place. If you know a father that likes to cook or bake, these would make a neat gift. 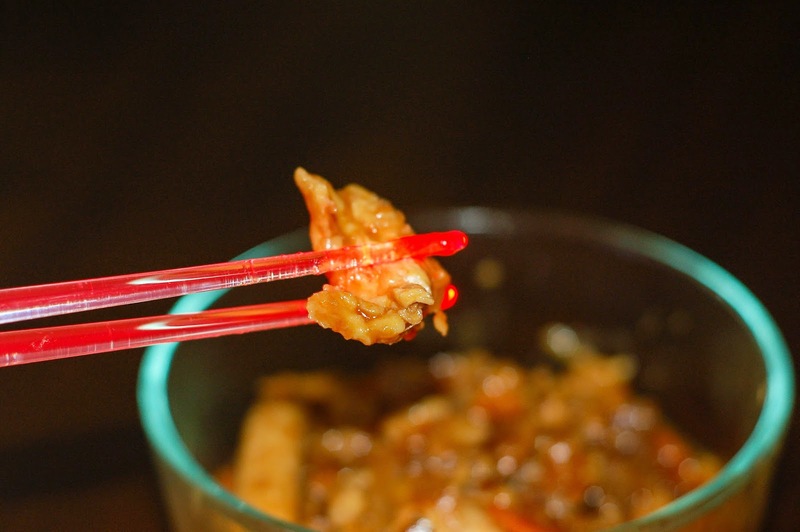 The Light Saber chopsticks were a blast to use. I know mom and dad taught us not to play with our food, but come on, what's a little light saber battle during dinner. My husband totally loved them. It's a utensil, it's a toy, it's both! I am not a big Star Wars geek, but I am a child at heart who loves toys. I need to go check out ThinkGeek to see what to buy my husband for Father's Day. The have all sorts of gadgets for the kitchen, office, bath, pets, kids, etc. And they have different categories for TV shows, movies, and video games like Star Wars, Star Trek, Breaking Bad, Harry Potter, Doctor Who, Walking Dead, Hunger Games, Minecraft, Dungeons and Dragons, and Pac-Man to name a few. OMG, I just found bacon, whiskey, and coffee soaps. 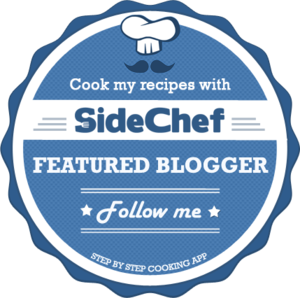 You seriously need to check this site out. It has a lot of great ideas for Father's Day, graduation, and birthday gifts. In medium saucepan over low heat, combine the condensed milk and the chocolate chips. Heat and stir until all chocolate is completely melted and the mixture is smooth. Remove from heat, stir in the salt and the bourbon. Mix until until completely combined. Then add the chopped bacon and stir until fully incorporated. Then spread the mixture evenly into a parchment paper (or wax paper) lined 8″ x 8″ pan or glass dish. Sprinkle with additional sea salt and/or decorative sprinkles if desired. Place the container in the fridge and chill until set (about 4 hours). When set, remove from the fridge, slice, and serve. (I find it easier to lift the fudge out of the pan and cut it on a cutting board.) Enjoy! 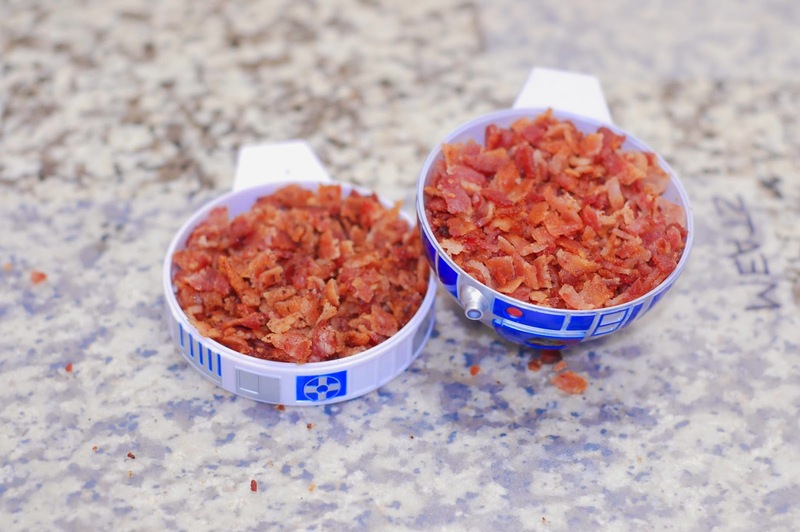 Disclaimer: ThinkGeek did provide me with some of the products used during the making of this recipe, but I was under no obligation to develop a recipe for them nor provide a favorable review. All thoughts and opinions are my own. This sounds like only the best things ever. I will be pinning and making it for a multitude of things this year! Thanks! can I just say love love love! !